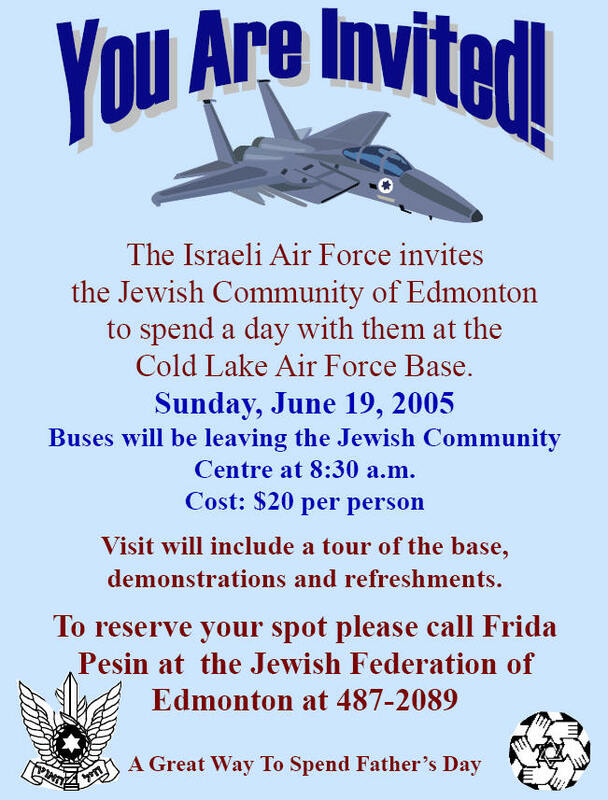 Friday, May 13, 2005 – For the first time, the IDF/AF is dispatching fighter jets to Canada to participate in the Maple Flag exercises which will take place May 15-June 24. They will have 10 F-16s and about 150 air crew in Alberta. 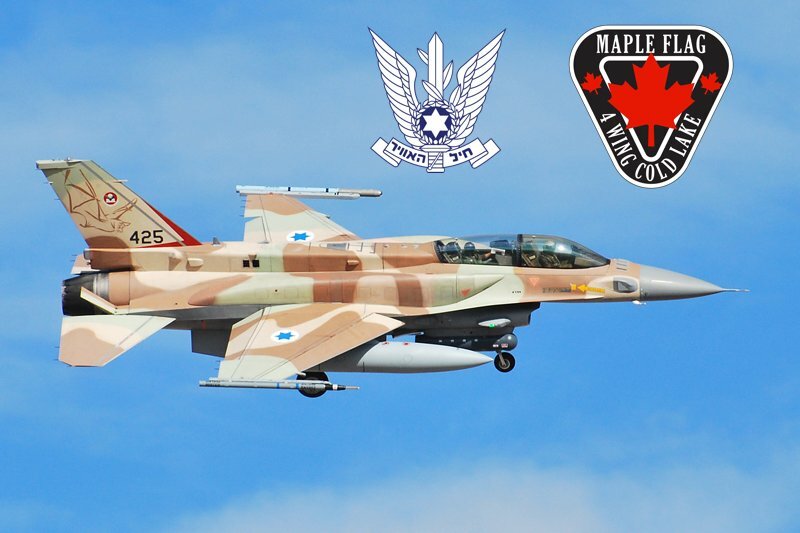 The Israeli air force confirmed that it had accepted a Canadian invitation to participate in the annual war games and was sending F-16 Fighting Falcons there. The move follows a policy by the IAF to participate in more international air exercises. The IAF has trained with the Italian, Romanian, German, Polish and Turkish air forces. It has also said it will hold a joint exercise with the Indians, but no date has been set. Reports from Canada said that the IDF/AF was sending 10 F-16s and about 150 air crew to Alberta. A number of Arab countries have been invited, but none is sending active aircraft. Qatar and the United Arab Emirates, which is currently receiving the F-16 Block 60, are sending observers. The Cold Lake range spreads across more than 11,000 sq.km. of northern Alberta bush land. With civilian traffic banned from the area, military pilots have free rein to practice combat skills. The range contains dozens of mock targets for planes to attack, including airfields, industrial complexes and military installations. A number of different combat and combat support aircraft will be participating in this year?s exercise, including: Mirage F-1 and Mirage 2000N, F-15 Eagle and F-15E Strike Eagle, F-16 Fighting Falcon, CF-18 Hornet, EA-6B Prowler, Tornado GR4, B-1B Lancer, E-3 Sentry AWACS, Transall C-160, C-130 Hercules, B-707. Exercise Maple Flag is a Canadian variation of the United States Air Force Red Flag exercise, held several times a year at Nellis Air Force Base, Nevada. Both exercises were developed in response to a Vietnam War finding that 90 percent of aircraft losses took place during the first ten combat missions. Aircrew who survived these critical first ten missions were more likely to survive the remainder of their combat tour. The IDF/AF has long been a participant in the US Red Flag exercise.